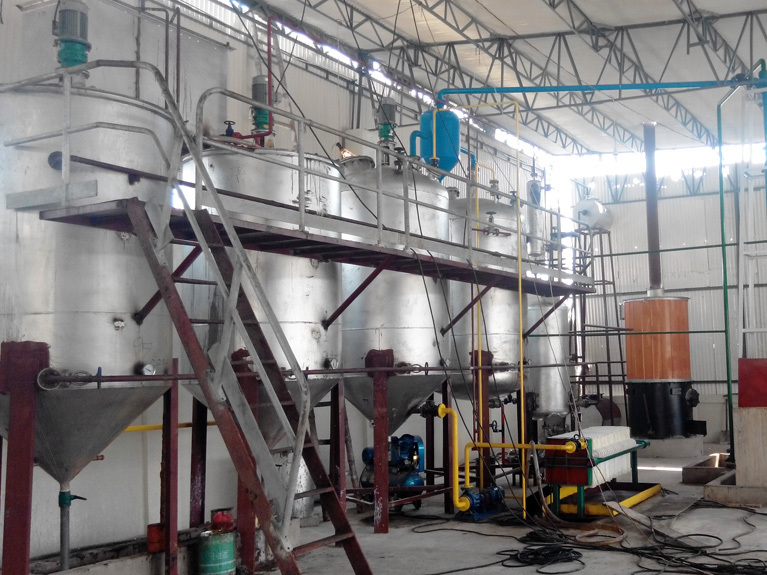 Continuous Type Oil Refinery Plant is recommended against the batch refining for higher capacity plants above 30 tons per day and for oils containing higher FFA content. This process line is bit expensive than batch oil refinery process but it provides superior quality refined oil along with automation system and low processing cost. It is also a large oil refinery unit. 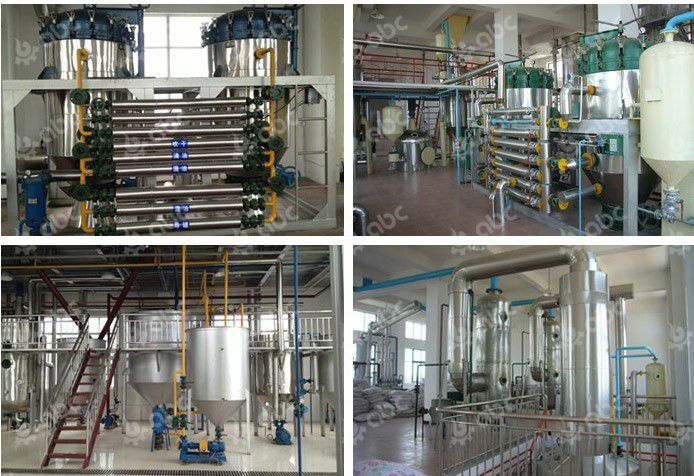 Two processes have been developed for continuous refining of edible oils: chemical refining and physical refining. 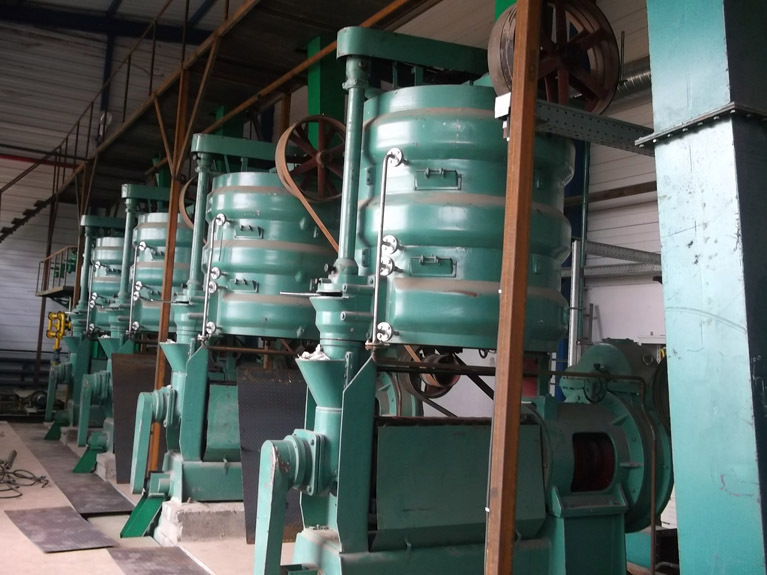 The physical method of oil refining removes the Free Fatty Acids in single stage of deodorization process while the gum content from the crude oil is removed in the degumming process. 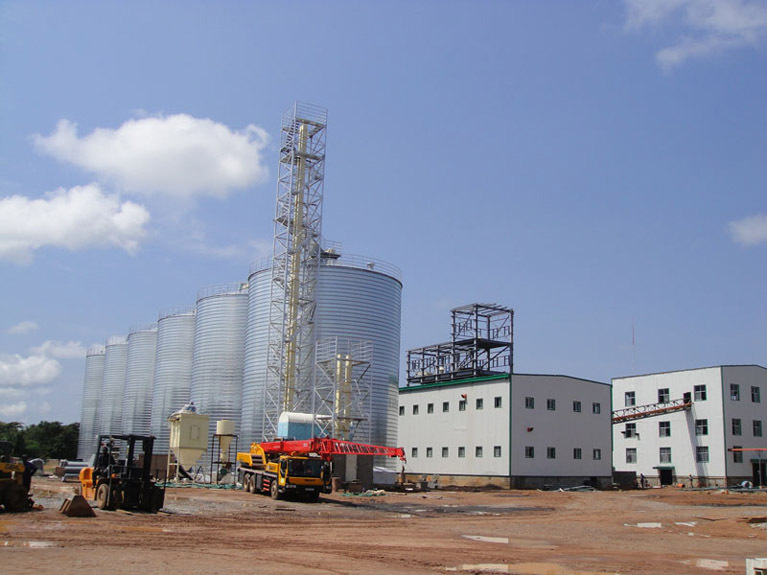 In physical refining, comparatively more FFA is distilled out giving a high oil refining rate with minimum oil loss. 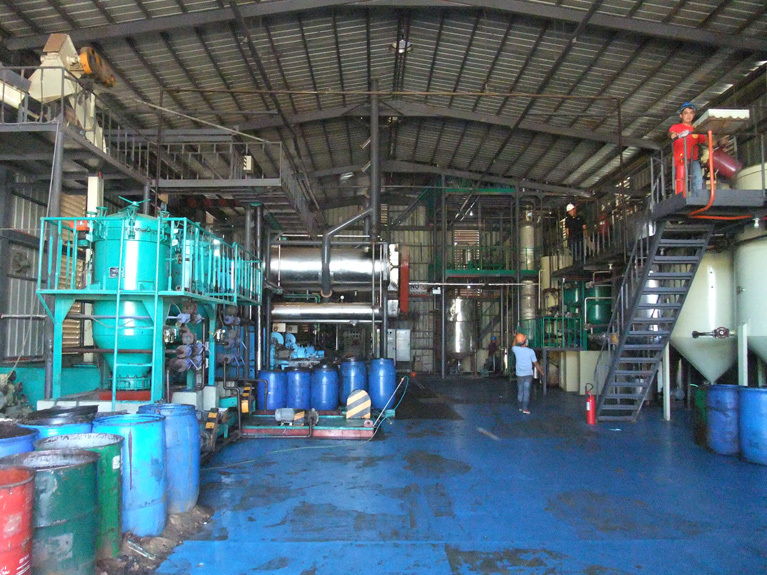 For oils like palm oil there is no necessity to go for alkali refining. Process control is accurately monitored through instrumentation. Specially designed on line oil seperator from fatty acid distillates ensures lowest neutral oil losses. 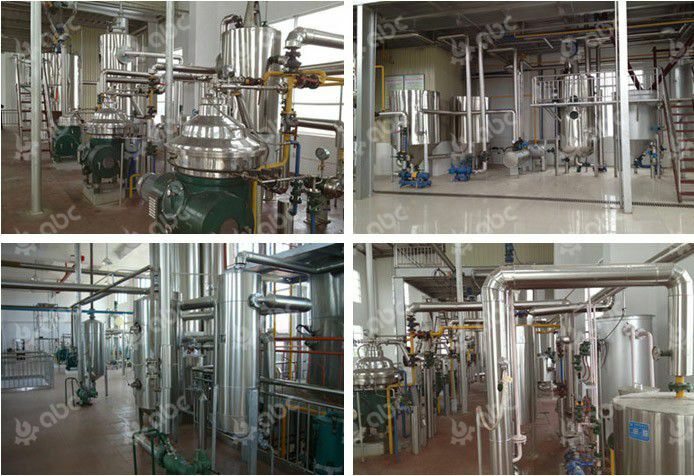 Chemical refining is most widely used method for refining all types of crude oils. 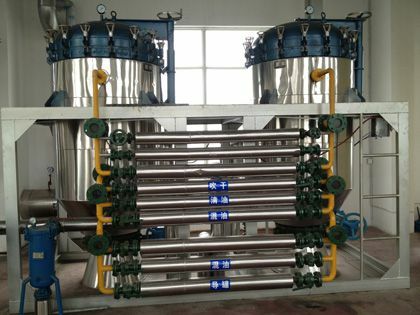 Chemical method of refining is accepted when the Free Fatty Acids is high; it removes the Free Fatty Acids and other impurities in a chemical way by Acid-Base neutralization process. Caustic soda is used as a base for this method. The addition of Caustic Soda to the acid completes the neutralization. This results in the formation of soapstock and gums which are then separated by Separators & Centrifuges. The neutralized oil is subsequently bleached and deodorized. • Process control is accurately monitored through instrumentation. • The continuous and uniform material flows will balance the decoloring time and avoid the recovery of grease oxidation and acid value. 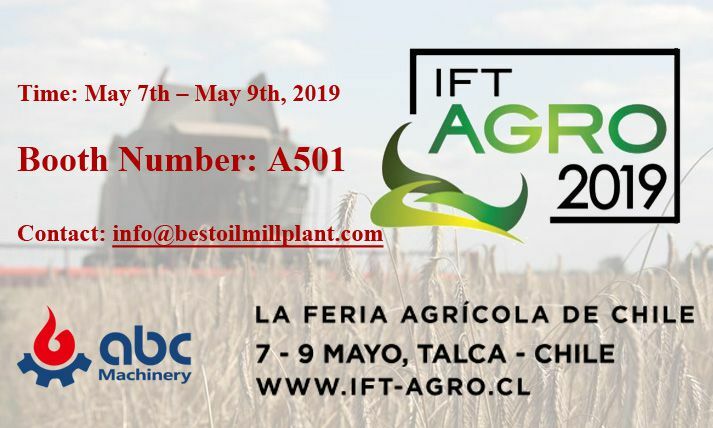 • The continuous airtight efficient filtration equipment has realized the automation of cake discharge and reduced the labor intensity.